Rychart Excavation, Inc. has been in operation since 1994, offering services such as site preparation, land clearing, and demolition. If you have a big project in need of highly skilled professionals, contact our team. We provide high-quality services every time. We understand that land clearing and demolition projects can be costly. 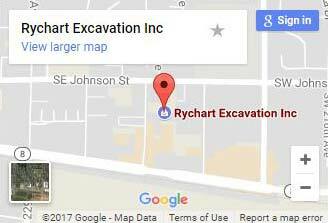 At Rychart Excavation, Inc. we offer the best services at fair rates. For each project, we assess every aspect and guarantee the best quote. We have the right tools and manpower to offer the best site preparation services. We work collaboratively to deliver each project on time and on budget. And because we work closely as a team, we can guarantee on-time delivery of projects. We use the latest technology in our demolition and land clearing services. Our employees have completed extensive training, ensuring they consistently deliver the best quality. Our company can guarantee you great services under any circumstance. Rychart Excavation is fully licensed to offer quality land clearing services. Talk to us about our credentials and previous projects.